The San Jose Blog: National Empanada Day at the Mmoon! National Empanada Day at the Mmoon! 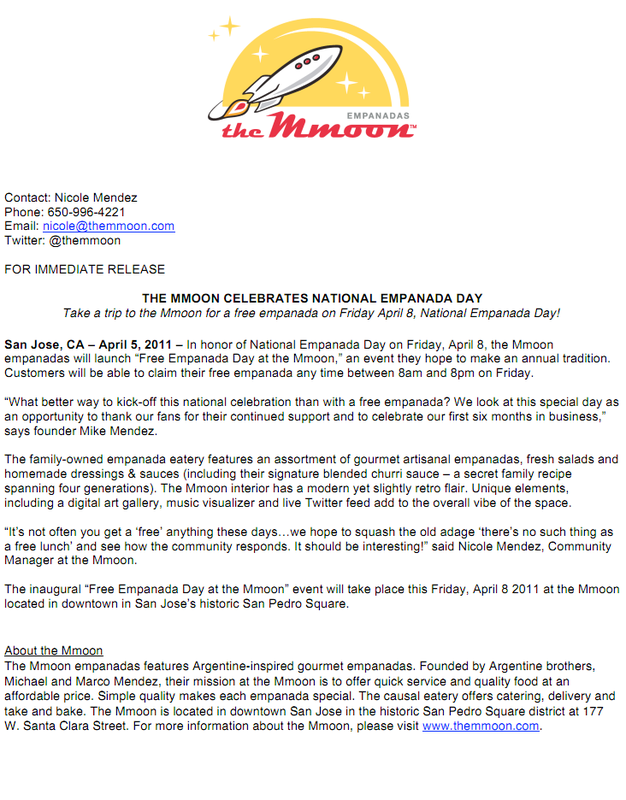 The Mmoon is celebrating National Empanada Day by giving away a FREE empanada to all customers between 8am-8pm today! They also just added 2 new empanadas I'm anxious to try, the Chicken Enchilada Empanada and the Tri-Berry Dessert Empanada. If you still haven't tried out The Mmoon, today is the day to do it. Came in for my free empanada but its only the pizza empanada. Lame. Oh and it was damn delicious.